Senior Audrey Camacho in a match against Acton Boxborough. 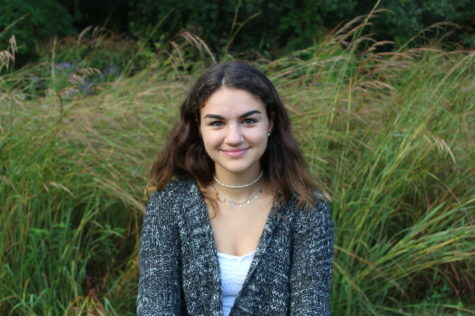 Starting at the age of eight, senior Audrey Camacho discovered a brand new hobby. Although she juggled many different sports growing up, Camacho stuck with tennis. 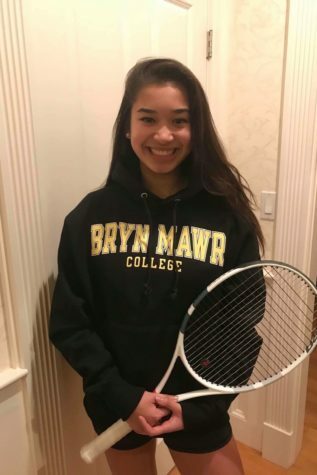 Camacho is now committed to Bryn Mawr College for Division III tennis and will be attending next fall. But until then, she has one last high school season to play. Camacho plays first singles on the varsity team. Her passion grew when she realized that she could continue tennis long term due to the low rate of injury. 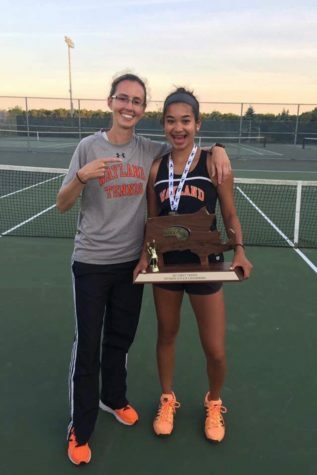 “I did not start taking [tennis] seriously until I was probably in eighth grade because then I started realizing that we had a high school tennis team,” Camacho said. Once she realized that the sport could be more competitive, she started practicing more and more. Now Camacho practices six times a week, twice a day, either before or after school. Camacho does not have plans to play tennis after college. “I don’t plan on becoming a professional because I want to have a [different] lifestyle [and] be able to get a job and everything like that. But, it definitely has helped me succeed going into college and [it helped] with my future,” said Camacho. 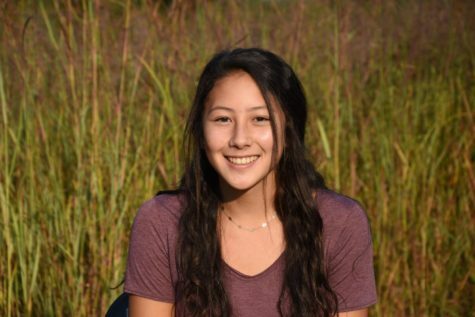 During Camacho’s WHS tennis career, she achieved many goals, created many memories and formed lasting bonds she will take with her to college. One achievement for Camacho on the WHS tennis team was winning states in 2017. “[Winning states is] just something that’s irreplaceable,” Camacho said. 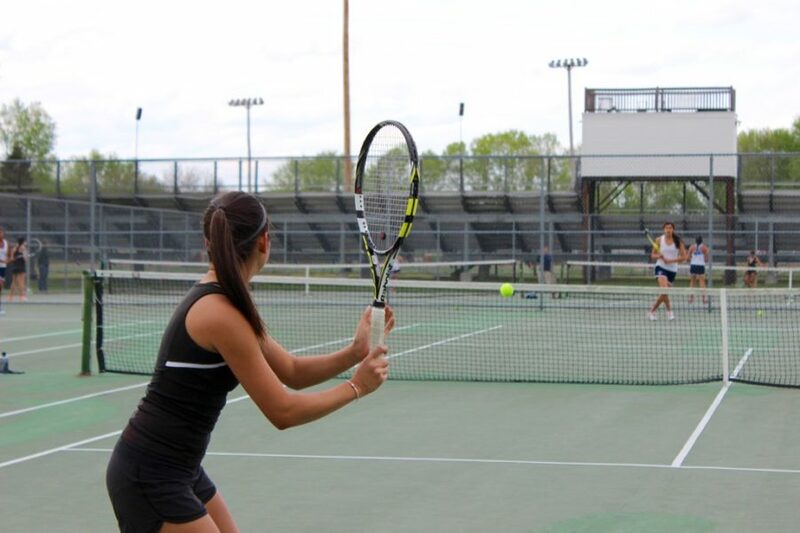 Outside of the Wayland tennis team, Camacho once took part in the USTA regional sectional tournament. The USTA sectional tournament takes the top forty players in a league to play in the regional tournament, and Camacho was included in the group they took from New England. This high ranked, top-level tournament is held every year. 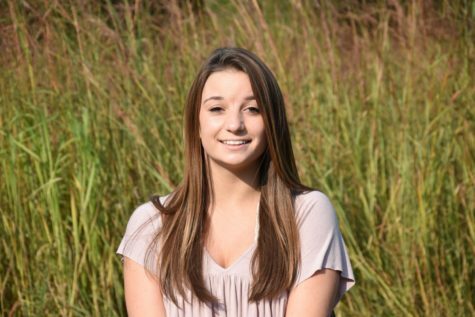 Camacho’s years on the WHS team and dedication to the sport made her realize she enjoys team bonding as much as playing the actual sport. Way to go Camacho!!!! Let’s go girls!!! !